Camps Bay is arguably one of Cape Town’s most enviable and affluent suburbs. It’s always on the ‘must-visit’ list of every tourist and local who comes to the Mother City – and with its alluring stretches of beach, relaxed and trendy lifestyle and gorgeous mountain views, it’s really not hard to understand why! Sure, this one is pretty much a given but it ranks in at number one because everyone who comes to Camps Bay, almost certainly heads to its beach! Whether you brave its icy Atlantic waters, pose for some pics or sprawl across the awesome, huge granite boulders, which dot its smooth, silky sands, you really can’t lose with Camps Bay Beach. Add to that trendy restaurants, buzzing, seaside cafes and gorgeous hotels a hop, skip and jump away – and you’re all set for a memorable day by the beach! Note: For a price, you can even rent umbrellas and sun chairs, or buy snacks, drinks and sun hats from local sellers, who frequent the beach and its surrounds. Address: Camps Bay beach, Camps Bay, Cape Town, Western Cape, South Africa. If there’s one place in Camps Bay that oozes quality, credibility and beauty it is the Twelve Apostles Hotel. And The Leopard Bar and Conservatory make for the perfect places to enjoy their tempting tea by the sea. The Tea by the Sea experience is famed for its delicious eats, tasty treats – and of course, the finest selections of teas and coffees possible. Modern decor, stunning sea views and exceptional service and food ensure a memorable teatime affair, through and through. It can be enjoyed daily for R325 (per person), from 10:00 am – 16:00 pm, and group bookings are welcome. So go on, spoil yourself and those you love with this gorgeous teatime treat! 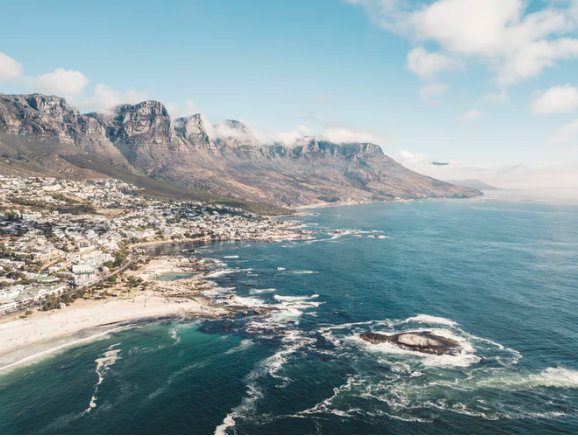 Although in recent times, a few of Cape Town’s ‘influencers’ have made Tranquility Cracks relatively famous across Instagram, it is still one of the city’s lesser known (but oh-so-worthwhile) hiking attractions. These unique cracks, which have formed fascinating fissures in the mountain, are tall and wide enough to climb in with ease… In fact, there are even trees and shrubs growing amid them! To reach the Cracks, it’s a good but not too difficult hike up the Pipe Tracks and then via Corridor Ravine. 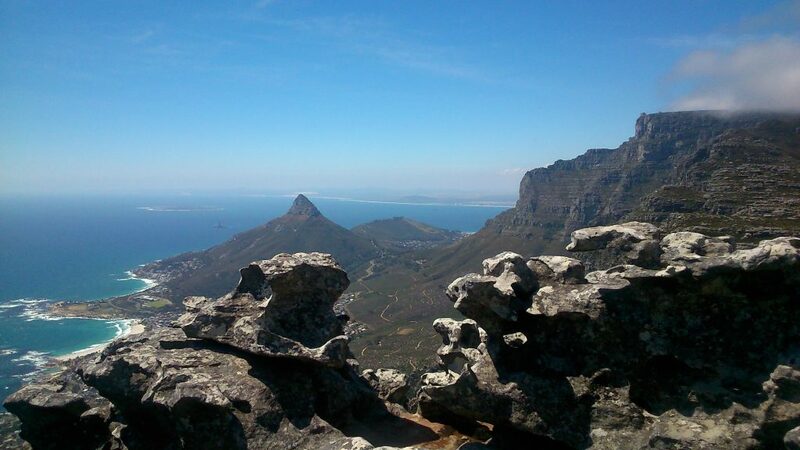 Once you crest it, the views of Camps Bay, Muizenberg and Table Mountain are incredible! The hike to Tranquility Cracks may take some four to five hours there and back, and requires hikers to be of moderate to good fitness. Pack in some lunch and enjoy a memorable time on the mountain. Note: Please never hike alone and be vigilant even in groups. Also, pack in plenty of water, sunscreen, snacks and warm clothing, as temperatures can drop a few degrees when you reach the top! Address: Tranquility Cracks, Camps Bay, Cape Town, Western Cape, South Africa. 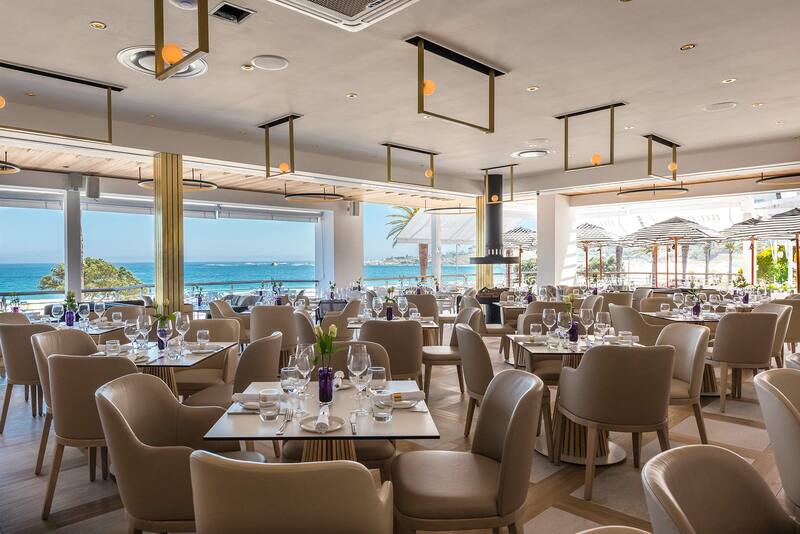 This still-new and elegant seaside restaurant offers its own kind of contemporary chic decor, enviable setting and delicious, fresh menu. These elements combine to bring you one of the most popular eateries in the sensational Camps Bay strip. Book your spot today to enjoy tasty food, gorgeous sea views and good service in a calm and elegant, sea-facing restaurant. Pieter Toerien’s Theatre On The Bay needs little introduction, for it offers an exciting blend of some of the best drama, cabaret, comedy and musicals in the Mother City. Besides, no list on Camps Bay is worth its salt without a mention of this popular theatre. Address: Theatre On The Bay, 1 Link Street, Camps Bay, Cape Town, Western Cape, South Africa. If there is one beach in Cape Town that is sorely overlooked, it is the absolutely beautiful Oudekraal Beach. 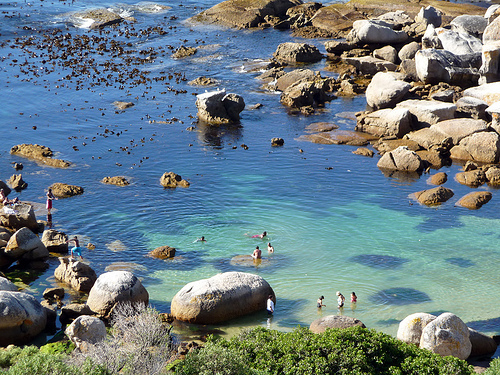 You can enjoy fabulous swimming, exploring on huge granite boulders and braaing up a storm (or having a picnic) in this pretty, clean and SAN Parks-protected bay and beach. Best of all, it’s only a few minutes’ drive beyond Camps Bay. There is a small entry fee to enter Oudekraal (currently R41 for adults, R26 for children) but it’s worth every penny. Oudekraal really is one of the most special and beautiful beaches in the Mother City! Address: Oudekraal, Picnic Resort, Post Restante, Camps BayCape Town, Western Cape, South Africa. If you are looking for an easy, scenic and relatively child and dog-friendly trail (provided you don’t go too far in), then the Pipe Track is the answer for you. Starting near the top of Kloof Nek, just above Camps Bay’s mountain-sitting houses, this gentle and easy walk is perfect for your daily exercise, nature photography or weekend adventures. What’s more, the views of Camps Bay below and the Twelve Apostles mountain range are incredible. If you’re fit and eager enough, there are also other longer routes, which feed out from this pretty track. Note: Please always be vigilant when hiking and don’t hike or walk in the mountains alone, and always carry water and sunscreen with you. Address: Pipe Track, Camps Bay, Cape Town, Western Cape, South Africa. The Roundhouse is one of the Mother City’s longest standing, most noble buildings. Not only does it enjoy an incredible history, beautiful views and a prime location- but it remains one of Camps Bay’s most iconic attractions… and rightly so! Over time, The Roundhouse has evolved from a guardhouse to a hotel to a dance hall and perhaps most famously, into Lord Charles Somerset’s very own hunting lodge! 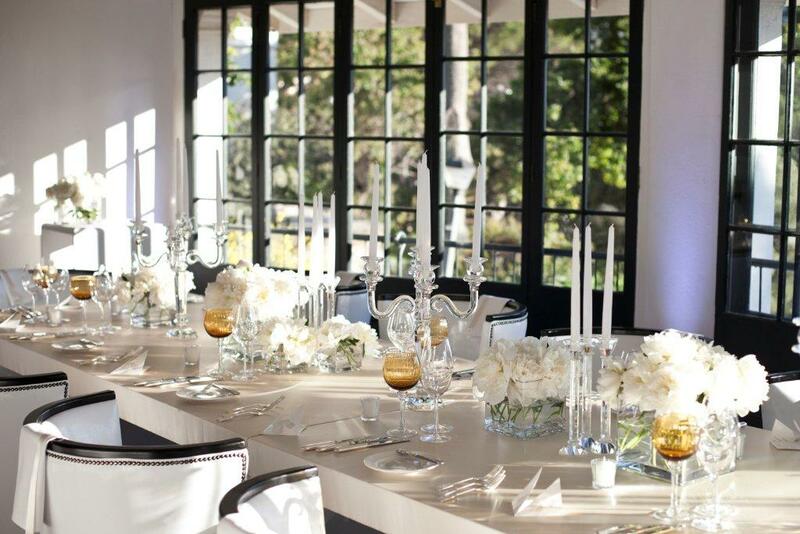 Today, however, it is happily the elegant restaurant visitors come to know and love. In this historic, tranquil space, good food, fine wine and spirits and warm hospitality come together perfectly. Dine inside its finery – or sit outside in The Rumbullion, a spacious lawn area, with equally stunning views and a laidback, tapas-style menu. Note: The Roundhouse is closed for renovations from 3rd to 31st July 2018. The Hussar Grill restaurant franchise may have spread across South Africa – but there’s no question that the Camps Bay branch is a wonderful and popular place to head for the perfect steak or a great meaty meal. In fact, as recently as 2014, TripAdvisor rated this eatery as the ‘Best Restaurant in Camps Bay’… And, more to the point, many Cape Town locals consider it to be their favourite restaurant! Head to The Hussar Grill Camps Bay for a delicious meal in lovely surroundings, in a place where quality service is assured. For those craving more adventure or the wind in their hair, City Sightseeing Cape Town offers some great trips through and via Camps Bay. The unmistakably characteristic red buses offer some fun stops, top on-board service, effortless online booking (with great discounts) and even some good and insightful audio commentary, in a wide range of languages! Curl the Cape Peninsula or simply hop on and off for a fun day at the beach – whatever your travel mission, you won’t be disappointed by these excellent tour bus operators. Address: Camps Bay, Cape Town, Western Cape, South Africa. These are just some of the unmissable, stunning attractions and activities one can enjoy in the trendy and suave Camps Bay!